The latest Horse's Mouth Newsletter has just been released. You can download it from HERE! 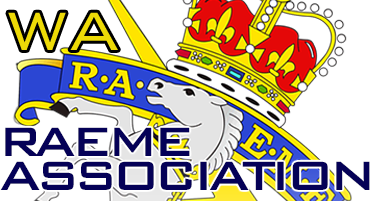 This edition covers the AGM, the RAEME Get together, Corps Birthday, Anzac Vigil and Anzac Day events... This and much more! 2018 is the 100th Anniversary of the Armistice and the RSLWA is undertaking a 62,000 Poppy Project to highlight the significance of the occasion. Volunteers are sought for the two separate phases of this project; ‘The Creation’ and ‘The Installation’. Perth put on spectacular weather for the dawn service and the march. The march was well attended as well as the after march function. A special thanks to the committee members that put in another stellar effort for another successful function! It was great to catch up and see a few face that we have not see for a while! MAJGEN Burr, Deputy Chief Army, Distinguished guests. To the men, women and families, past and present, of the Royal Australian Electrical and Mechanical Engineers. On behalf of the Director, Dr Brendan Nelson and the Chairman of the Council, Mr Kerry Stokes, Welcome to the AWM on this momentous occasion – the 75thBirthday Parade of the Corps of the Royal Australian Electrical and Mechanical Engineers. In conducting my research to deliver speeches such as this, I have the very privileged access to Australia’s finest military historians. Men and women who work tirelessly to aid the Memorial in its mission to assist Australians to remember, interpret and understand the Australian experience of war and its enduring impact upon Australian society. Men and women who work to ensure that your record of service is recorded, and preserved in perpetuity.